This transmission fits a wide variety of machines including, Bobcat, Scag, Exmark, Toro, Bunton, Snapper, Kees, and Husqvarna. Replaces 700-078A. Toro 1-323500. OEM Spec Transmission, 5 Speed with Reverse. These transmissions fit a wide variety of machines including, Bob-Cat, Scag, Exmark, Toro, Bunton, Snapper, Kees, and Husqvarna. "Old Style" Transmission has 36 spline input shafts and shift level is held on with a bolt. Peerless 700-070A / 700-078 / 700-079. Scag 481580. Toro 1-323500. 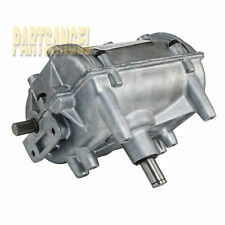 Replaces Part Numbers for New High Quality 5 Speed Transmission. Specially formulated transmission grease, provides superior lubrication and performance. Replaces 700-078A. This transmission fits a wide variety of machines including, Bob-Cat, Scag, Exmark, Toro, Bunton, Snapper, Kees, and Husqvarna. OEM Spec Transmission, 5 Speed with Reverse. "New Style" Transmission has 9 spline input shafts and shift level is held on with a nut. FD Kees 539101951. Peerless 700-023. Replaces OEM Specially formulated transmission grease-Provides superrior lubrication and performance. Neutral start capability-Allows the installation of a switch to sense if unit is in gear or in neutral. 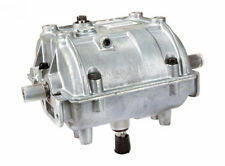 PRO-GEAR T7521 TRANSMISSION. ROTARY 14399. FITS EXMARK and OTHERS. EXMARK 1-301024. PEERLESS 700-026. Be sure to add EZsmallengineparts to yourfavorites list ! Basic gasket and seal kit for the Peerless 2300 series transaxles, fits many Bolens, Massey Ferguson, Speedex and John Deere models. We specialize in Bolens parts! Need the Peerless repair manual we have that too! PARTS ARE IN GOOD WORKING CONDITION. for a lower rate. 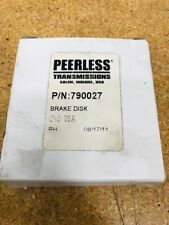 Peerless 700-070A / 700-078 / 700-079. Replaces OEM OEM Spec Transmission, 5 Speed with Reverse. 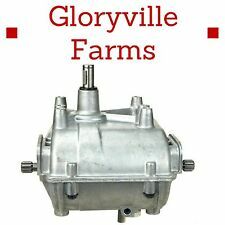 Rotary 14176 This transmission fits a wide variety of machines including, Bobcat, Scag, Exmark, Toro, Bunton, Snapper, Kees, and Husqvarna. Here we have the Peerless Tecumseh 5 speed transmission from a Ford R8 8hp rear engine riding lawn mower ( built by Gilson) and it may fit many other riders. Part number 786082. New Genuine sprocket. 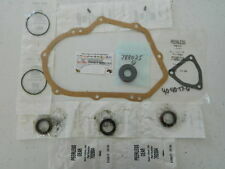 GENUINE OEM Tecumseh peerless transmissonBRAKE REBUILD KIT. We will work with you on getting the right part for you, but we are not responsible for mistakes made on your end. Used OEM TORO Transmission TRANS AXLE PEERLESS 94-6022 205-509. Neutral start capability-Allows the installation of a switch to sense if unit is in gear or in neutral. 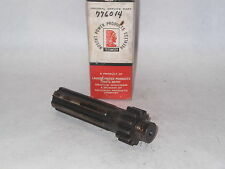 Oil-impregnated bushings-With needle bearings on input shaft. Specially formulated transmission grease-Provides superrior lubrication and performance. PRO-GEAR T7520 5-SpeedTransmisson. Replaces Peerless 700-023. Replaces FD Kees 539101951. Check out all My pictures. Bin # Pallet Rack Back Room. Last Photo Shows (Model,Spec,Serial #) Sticker. ROTARY 14399. EXMARK 1-301024. PEERLESS 700-026. Specially formulated transmission grease-Provides superrior lubrication and performance. Neutral start capability-Allows the installation of a switch to sense if unit is in gear or in neutral. Product Number: 700 021A. Peerless Transmission. EAP - E2-2. NO FURTHER INFORMATION ON THIS PRODUCT. Genuine Tecumseh Part # 794626B. Supercedes/Replaces Old Part # 794626A. Peerless Model 700-070. 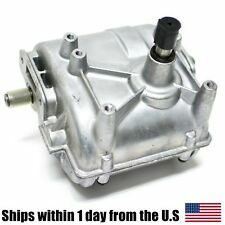 The transmission is a 5 speed forward and 1 speed reverse.This will fit a lot of models including 130 160 170 180 LX172 LX173 116 111 108 and maybe others. the peerless model number is 801-038A. We are a John Deere, Honda, Toro, MTD, Sears Craftsman, Echo, Oregon, Lawnboy, Briggs & Stratton, and Kohler dealer. This is a 5-Speed transaxle removed from a JD 111. Peerless model 806. Tested and works well with no problems. There is no warranty for used parts.All parts are tested and are in good working condition before removal(unless otherwise noted). This is an old school Peerless transmission in good usable condition. It has 5 speeds forward, plus neutral and reverse. Shifts fine, and mounting bosses are in good shape. Bobcat/Ransom 4127203. Scag 481580. This transmission fits a wide variety of machines including, Bobcat, Scag, Exmark, Toro, Bunton, Snapper, Kees, and Husqvarna. Replaces 700-078A. OEM Spec Transmission, 5 Speed with Reverse. PRO-GEAR T7512 TRANSMISSION. PRO-GEAR T7512. ROTARY 14178. Tecumseh 794727, PEERLESS 700-083. OEM Spec Peerless Transmission, 5 Speed with Reverse. This transmission fits a wide variety of machines including Bobcat. Up for sale is this transaxle removed from a Simplicity 4212 riding lawn mower. It is in good working condition with no issues. Peerless part number: 801-019C. There is no warranty for used parts.All parts are tested and are in good working condition before removal(unless otherwise noted). (1) 792077A BALL. 1) 792079 SPRING. 1) 792078 SCREW. genuine oem Tecumseh Peerlessshift ball kit. We will work with you on getting the right part for you, but we are not responsible for mistakes made on your end. SKU: MIA10319. Style: MIA10319. Part: MIA10319. MPN: MIA10319. Part Number: MIA10319. The transmission is a 5 speed forward and 1 speed reverse. This will fit a lot of models including STX30 and STX38 and maybe others. EXMARK 1-323500. TECUMSEH 700-079. SCAG 481580. GRAVELY 04901000. TECUMSEH 794816. Can replace 700-070A, 700-078. Product Details. This is a transmisson out of a 1999 F 935 JD zero turn mower, I popped this thing open to see how it looked and it looks good. Speedex S-18 Tractor Information Complete tractor is not available for sale. Local pickup is available. Engine - Kohler K181 - 8HP. Scag: 481580. Exmark 5-speed walk behind with 9 spline transmission. Gravely 5-speed walk behind with 9 spline transmission. Tecumseh 5-speed walk behind with 9 spline transmission. Fits Models. Trending at $204.99eBay determines this price through a machine learned model of the product's sale prices within the last 90 days. Model - 934003. Ariens HT16 Tractor Information Complete tractor is not available for sale. Local pickup is available. Engine - Kohler MV16S - Spec#56507 - 16HP. Peerless Model 757 Transmission Gearbox FITS MANY MODELS OF RIDING LAWN MOWERS! Used in MANY models of riding lawnmowers, this item was taken off of a working unit. Cub Cadet 76 Tractor Information Complete tractor is not available for sale. Local pickup is available. Engine - Briggs & Stratton 170702 1197-01 7203021 - 7HP. Serial # - 8544. PRO-GEAR T7512. ROTARY 14178. PEERLESS 700-083. 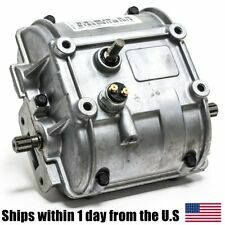 New High Quality 5 Speed Transmission. Specially formulated transmission grease, provides superior lubrication and performance. Made from heat-treated steel, can be mounted on either side of transmission. Up for sale is this transaxle removed from a John Deere STX38 riding lawn mower with a yellow deck. It is in good working condition. Peerless part number: 920-017. There is no warranty for used parts.All parts are tested and are in good working condition before removal(unless otherwise noted). YOU WILL GET WHAT IS PICTURED. PARTS ARE IN GOOD WORKING CONDITION.